With so much tourism being offered in the country, this article will share on why Sarawak became one of the most interesting places to visit in Malaysia, and you will want to visit the Land of the Hornbills after reading this. Sarawak is the largest state in Malaysia, and is located on the island of Borneo, which is shared with neighbouring sister state Sabah, the Kingdom of Brunei, and the rest of the island owned by Indonesia Kalimantan. The Land of the Hornbills is known to be the ecotourism central of Malaysia and Borneo, with some of the most unique mix ethnic cultures that are found from the south and all the way to the north. 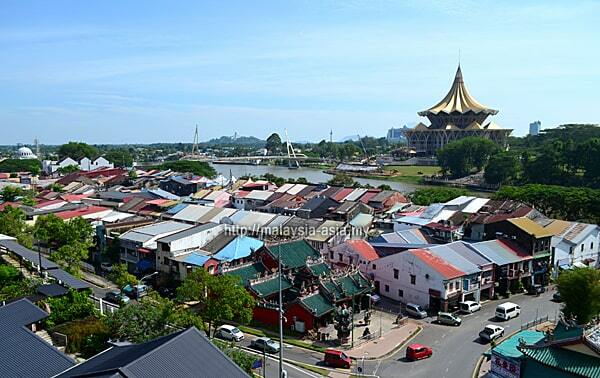 Kuching is the capital city of Sarawak, which dates back to the Brooke dynasty when the White Rajas once ruled this kingdom for three generations. Today, Sarawak is one of the most beautiful and natural destinations in Malaysia, where not much has changed over the last few decades, providing very rich heritage, culture, food and vast ecotourism. So, How Did Sarawak Become The Most Interesting Place To Visit In Malaysia? Overall, Malaysia is still a beautiful destination to visit, with so much natural tourism being offered, but over the last two to three decades, much has changed in the landscape of tourism. The country started to shift focus to man-made attractions, shopping and other popular tourism traits, but for some reason, Sarawak chose to remain as a true eco destination, and this is one of the reasons why it is still the most interesting place to visit in Malaysia. One of the main reasons is also that Sarawak being the largest state, offered so much nature in their dense rainforest that spreads as far as your eye can see. Originally, Sarawak has always been known as a mystical and unique destination in Borneo, and the tourism board has marketed it that way since the beginning. Many curious tourists from all over the world are fascinated with the intriguing wildlife, people, food, cultures and nature that has been promoted, creating almost an instant interest to visit Sarawak. As the tourism board put so much focus on the rainforest branding, it became a must-visit destination in this part of the world for any adventure seeker or wildlife lover. Over the last twenty years or so, Sarawak has been featured on world class television programs, and also documentaries by National Geographic, the BBC, Lonely Planet and many other shows. Even the late Anthony Bourdain had visited Sarawak and gave his approval for the famous Sarawak Laksa in May 2015. 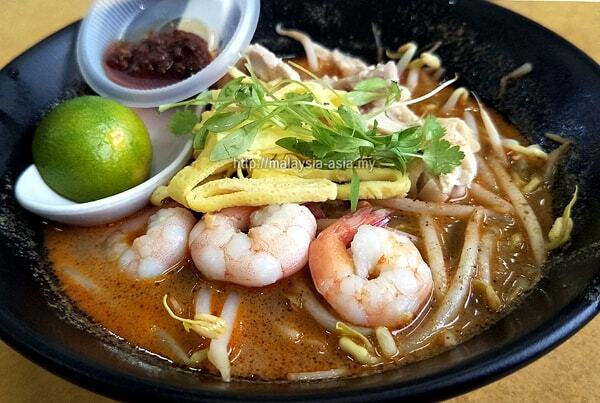 This alone brought overnight success to the Sarawak Laksa, which instantly became a must-try dish for any food lover around the world till this very day. With the endorsement from the late Anthony Bourdain, Sarawak achieved a reborn international branding that made more people want to visit this unique part of Borneo Island. While Malaysia offers some pretty awesome places to visit for tourism, they are usually quite commercial, and often cater to mass tourism. However, Sarawak has taken the opportunity to brand themselves as a totally unique and different destination when visiting Malaysia. Experiences! Forget the busloads of tourist that many countries seek, as this strategy has created the worst out of the best. Some even term this as over tourism, which is now a problem for some countries. While everyone is fighting for the same piece of cake, many countries are trying really hard to impress tourist, in order to get them to visit. At the end of the day, many tourism boards work hard to compete among one another, each showcasing their strongest tourist products like beaches, shopping, mega structures and more. Sarawak on the other hand, does not have all of the above mentioned, but instead, offers pure and natural tourism products. Some people have even come to a point to accept that these are natural and free products, that have been here all this while. For the tourist who visits neighboring or regional destinations, they will most likely encounter similarities among one another. But Sarawak boasts of abundance of cultures, rainforests, national parks, forest reserves and even conservations, something not many countries can do. Many travelers who have been to popular cities always see the same old thing, but just in a different form. Skyscrapers, shopping malls, lifestyle streets and overcrowded tourism structures. With the normality of this being found all over the world, some travelers are now looking for alternatives, and of course destinations that are real, and offer natural products. In simple words, experiential tourism. Sarawak is right up that alley, offering over 17 national parks and reserves, and one of them being a UNESCO World Heritage site, how could a traveler go wrong by visiting some of these parks. And when you discuss culture, Sarawak is no stranger to this, with more than 40 sub-ethnic groups spread all over the land, it is a cultural wonderland for anyone who loves this genre of tourism. People want something genuine, not a destination that is created specially for tourism. People want realism, not some foreigner speaking the local language, and trying to sell you something he or she does not understand. People want experiential tourism, where experiences matter most. People want to see real places, real wildlife, real nature and real cultures with real people. 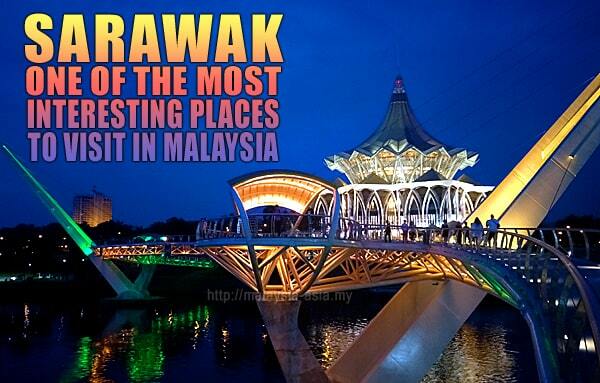 What Can You Expect From Visiting Sarawak? As mentioned above, you will not be finding a vast modern metropolis in the city of Kuching, but a more realistic tourism experience here, where things are still original. Some may say that this concept is outdated, but I beg to differ, and you will understand why after reading this article. 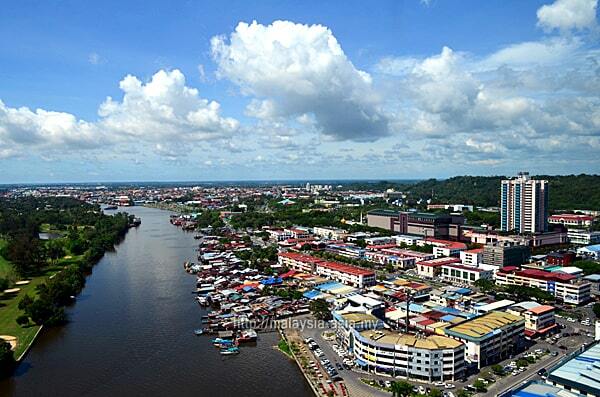 Cities and towns around Sarawak tend to maintain their old world charm, with a slow approach towards modernization. This has helped maintain a natural status of growth, resulting in pure and natural tourism. Overall, the visitor to Sarawak will be able to see a very natural side of Malaysia, minus the twin towers, mega theme parks and a congested cityscape. Over 17 national parks and reserves spread all throughout Sarawak, meaning you can go on a rainforest adventure like no other. The rainforest here are over 100 million years old, so you can only imagine what lies in them. Mulu National Park - A UNESCO World Heritage Site that is probably the most famous of the national parks in Sarawak and overall throughout Malaysia. 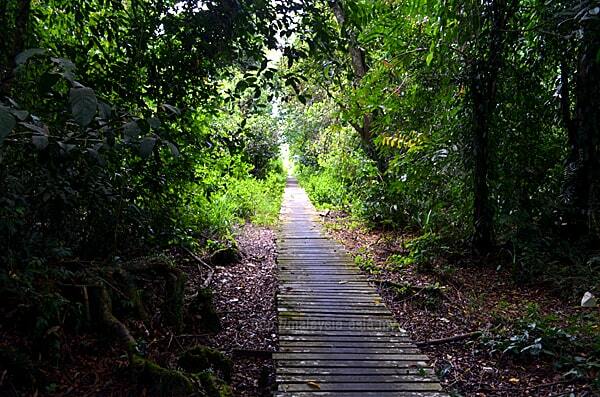 This well preserved national park sits in the northern part of Sarawak, and close to the resort city of Miri. Explore four main caves, where some of record breaking, and some are incredibly fascinating. One of the caves allows you to watch a bat show every evening when millions of fruit bats fly in formation to seek their dinner. Niah National Park - Another massive cave system and located closer to Miri City, with two main caves to explore. One of them holds prehistoric cave paintings dating back over 40,000 years old. The other is known as Traders Cave where once, bird nest traders would set up stalls to cater to the buyers who came from afar to trade. This massive cave system is so huge, you would feel like an ant in there. 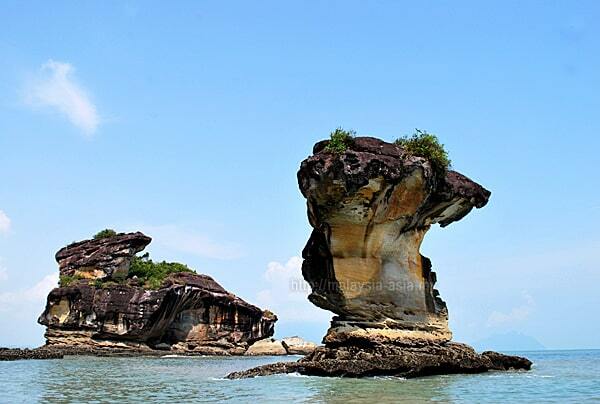 Bako National Park - Probably the most visited national park due to its close proximity to the capital city of Kuching, and one of the very interesting places to explore, on a day trip or even an overnight experience. This park is situated on an island, and is home to a few interesting discoveries like the Cobra Sea Stack, the close encounter of the strange bearded pig, the funny nosed Proboscis monkey, and a number of interesting trails for hikers. Talang Satang National Park - Known as one of the least visited national parks due to the location at sea, you can find the Talang Island Turtle Conservation here. The island is only open to serious volunteers who come and assist in the turtle conservation, and no, there is no hotel or resort on this island, but one of the best experiential tourism to try. 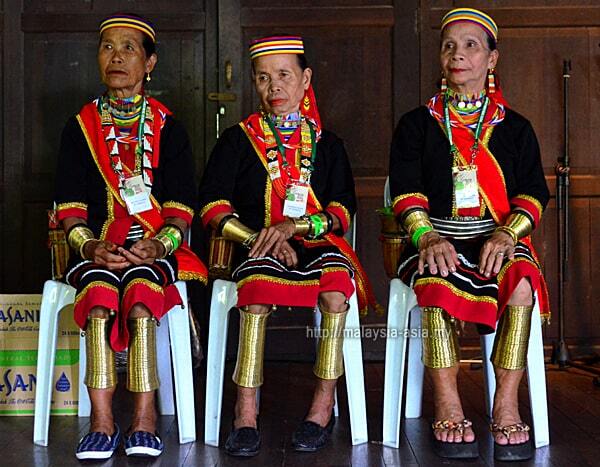 The Semban Ringed Women of Sarawak. People always make up the overall tourism experience as it is paramount to understand the locals of a destination when you are there. With Sarawak being home to almost 3 million people, 26 main ethnics and 40 sub-ethnic people, you can only imagine what you will encounter when visiting different places around Sarawak. In simple words, it is unlike visiting Bali, where everywhere you go, you will encounter only the Balinese people, who practice the same rituals, eat the same food and so on. Here in Sarawak, be prepared for an amazing cultural journey like no other when you travel from place to place. In terms of religion, Christianity, Islam, Buddhism and Animism is in order, and varies from different parts of the land. The mix tribes of Sarawak are commonly seen at national events. 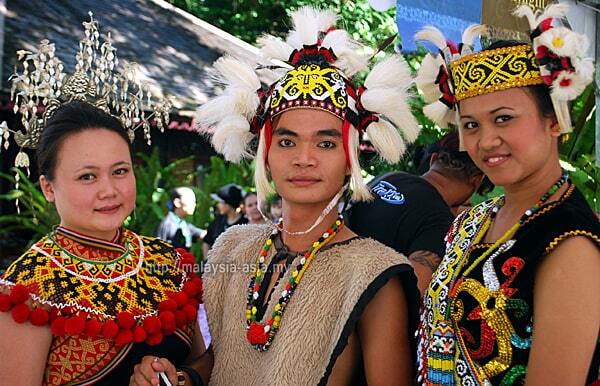 Iban People - These is the majority ethnic group of Sarawak, and are found from north to south. The Ibans make up around 30% of the population, and you can find both modern and also traditional Iban people all over. Apart from the modern day Ibans, the thrill is to take an adventure into remote parts of Sarawak to see how the traditional Ibans, who continue to maintain their original culture of living in longhouses, practicing the old ways. Malay People - They make up around 24% of the population and only in the last ten years the number grew, and they are well spread throughout Sarawak from north to south. The Malay people of Sarawak come from various parts of the region, where you will find the people of the land that embraced Island in the 15th century, Javanese, Bruneian, and from other smaller groups. Even the Melanau have a strong Malay community in Sarawak, and thus making it intriguing to experience the different Malay people of Sarawak. Chinese People - The Sarawakian Chinese make up 24% as well, and are equally interesting as you can find sub-groups of Cantonese, Hakka, Foochow, Teochew, Hainanese and Hokkien people all over Sarawak. Each of these groups have their own interesting language, culture and of course, their food, which makes it even more interesting when you explore different parts of Sarawak. History states that the Chinese arrived in Sarawak as traders in the 6th century, and along the way, brought migrants who settled here. The mass of the Chinese arrived in the 19th century to work in mines and plantations as Sarawak was the newly discovered prosperous land. Bidayuh People - Making up around 8.5% of the population, the Bidayuh are found commonly around the south of Sarawak, and closer to Kuching city. 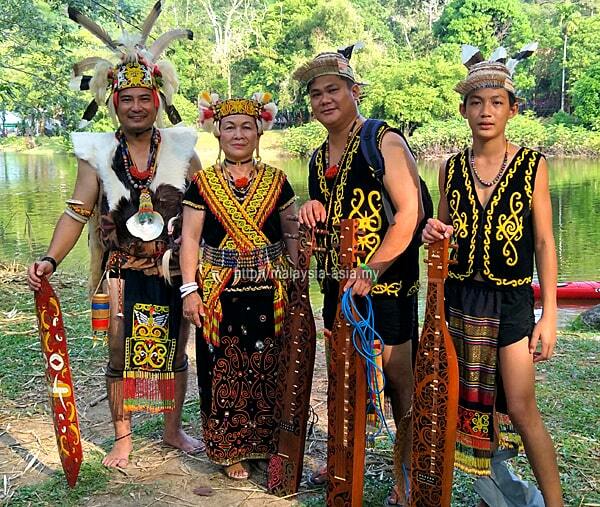 Known as the land people or Land Dayaks of Sarawak, they are also known as the most hospitable groups. Orang Ulu People - While this group covers a cluster of sub-ethnic groups, they make up about 7% of the population. They consist of the Kelabits, Lun Bawang, Kayans, Kneyah, Penan, Bisaya and many other very small groups. From a tourist point of view, these are the most fascinating people to discover when you are traveling around Sarawak. The Orang Ulu still manage to continue centuries old traditions, and many of them still live in distant locations. To me, this is an adventure waiting to be discovered by the serious traveler, who wants to see what rural tourism in Sarawak is all about. I have written about my experiences visiting some of these places, namely Bario, located in the highlands of north east Sarawak. I have also explored the Lun Bawang village of Bakelalan, which is only accessible by small plane three times a week, or by taking a four wheel drive journey of six hours to reach their village. Both of these destinations above are highly recommended for anyone who wants experiential tourism, where you stay in a local community, and live like the locals here. This is highly recommended by me. Melanau People - Known as the coastal people, the Melanau make up around 6% of the population and are found in the coastal areas of central Sarawak. One of the main places to encounter these fascinating people is by heading to Sibu, and then to Mukah. The Melanau are known to be the finest boat builders, and also crafters, where they now live in community style villages, also known as kampungs. 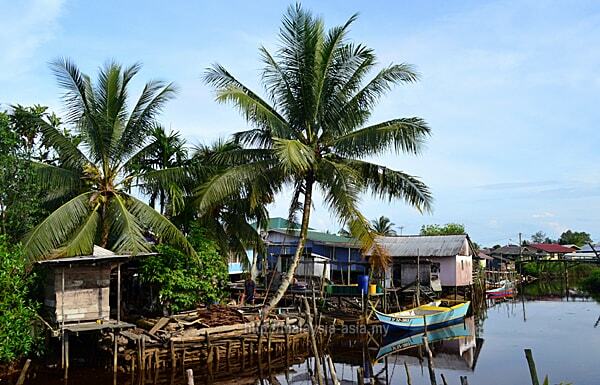 Most of the Melanau have converted to Islam, but many who still practice the old ways are found around the Mukah area. Other People - Of course, there are many others not listed here, and you can imagine that if I do, the list will go on and on. A majority of the rest are mainly minority groups and sub-groups. And if you want to learn more about them, engage a local knowledgeable tour guide as he or she will be able to provide you with in depth knowledge. The Orang Ulu house on stilts at the Sarawak Cultural Village. With the ethnic groups explained above, now it is time to share the many fascinating destinations of Sarawak. You should also know that Sarawak is not fully developed, hence to travel from one place to another, it can take time. Hence, I would easily say that to fully discover Sarawak as a traveler or tourist, you would require a minimum on one week to ten days for this. And that duration only covers the basic locations. Over the years, I have met some travelers who spend a minimum of two to three weeks to truly enjoy exploring Sarawak. But then again, if you have the time, why not. 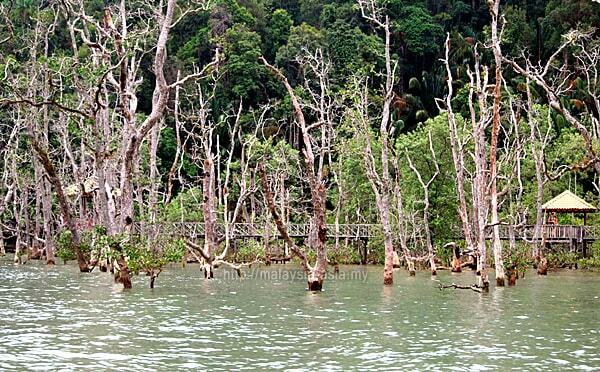 Below are some of the interesting destinations to visit when you are in Sarawak. Sarawak Cultural Village - This is hands down one of the most fascinating places in Sarawak, where the village acts as a real life living museum. This simply means that the main ethnic groups of Sarawak are showcased in this place, in their individual traditional homes, and they actually live there. 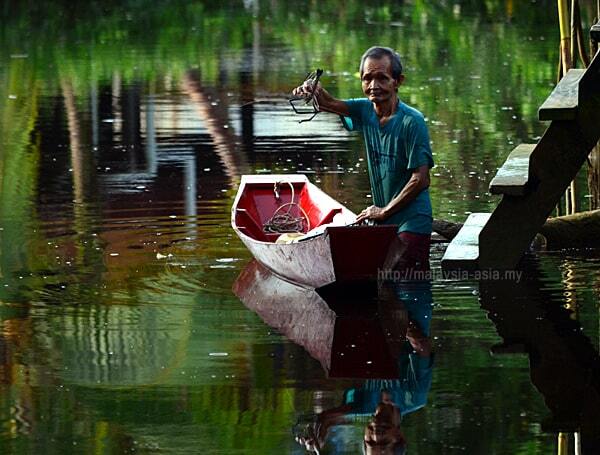 The village is located about 90 minutes out of Kuching City, and is best done as a day trip. You will not regret visiting the Sarawak Cultural Village or SCV, and or those with limited time, you can see all the main ethnic cultures here in one place. Semenggoh Wildlife Center - 40 minutes from Kuching is the famous Semenggoh Wildlife Center where you can see Orangutans or the red apes of Borneo roam freely at this place. The Semenggoh Wildlife Center focuses purely on rehabilitation for the endangered orangutans from all over Sarawak, and live in a highly protected reserve. The orangutans are semi-wild, and have been trained to accept visitors observing them, and the best time to catch them in action is during their feeding times. For more, visit the Semenggoh website. 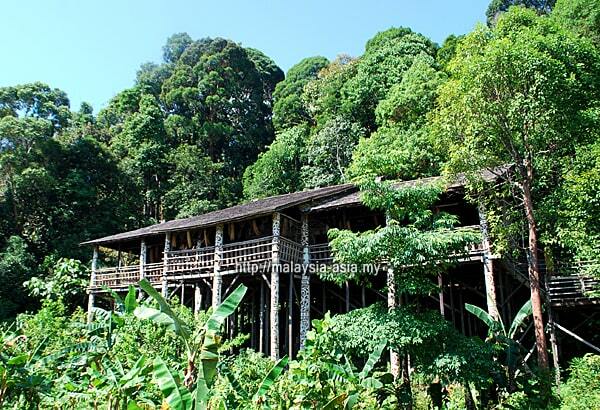 Annah Rais Bidayuh Longhouse - This is an actual century old Bidayuh longhouse that is still intact, and the closest traditional longhouse to Kuching. The time it takes to drive here is about 80 minutes, and visitors can spend a few hours walking around the community longhouse. Local Bidayuh people still go about their everyday chores, and you will have the opportunity to communicate with them when you are here. 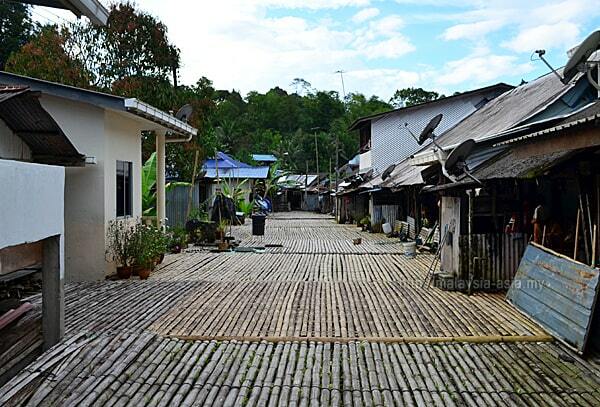 There are shops, restaurants and skilled workers found throughout the Annah Rais longhouse, with kids running around. Don't forget to spot some of the famous art murals here when walking around. Siniawan Weekend Food Street - Probably the best food market in the entire Sarawak, and located about 45 minutes from Kuching, this is the highly popular Siniawan Weekend Food Street. Visitors come here on weekends, just before sunset to experience a very localized food street set in a beautiful environment that takes you back a hundred years ago. You can find over 40 stalls selling all kinds of local food on both sides of the main street which is dominated by pre-war wooden shophouses. 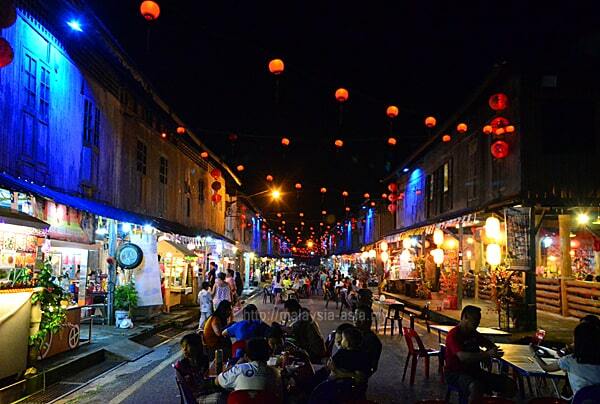 The ambiance of red lantern lights strung over the streets makes this place a perfect Instagrammable location. For foodies, this place is not to be missed, and it is best to arrive here by 5.00 PM. 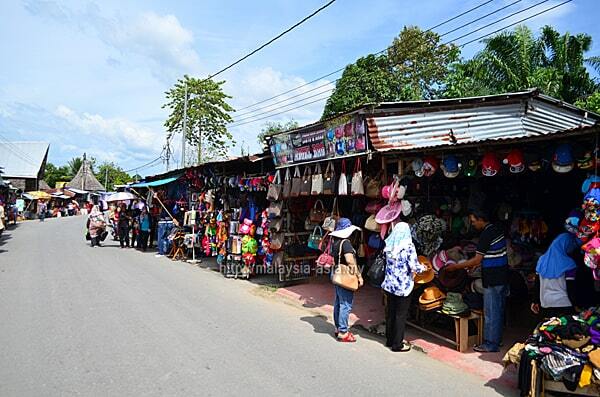 Serikin Border Market - A daily street market that is situated in the Sarawak side of the Kalimantan border, and highly popular among the locals and also visitors to Kuching. The Serikin Market is a unique experience for market lovers and those who enjoy some street shopping. 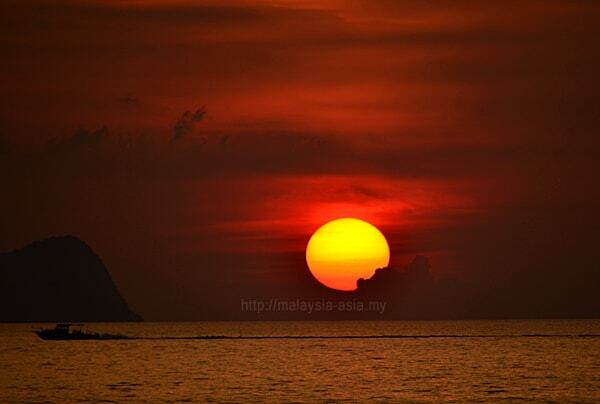 It is recommended to come early and avoid the midday sun as it tends to be the hottest spot in Sarawak. You can find all kinds of general items, household items, Dayak souvenirs, fabrics and even antiques being sold along this border market. Silabur Cave or Jade Cave - One of the recent attractions that have gained limelight in 2017 and 2018 is the Silabur Caves, located just out of Serian town. This place is also known as the Jade Cave of Sarawak, where it requires some basic trekking to reach this beautiful place. This means that Silabur Cave is not for the commercial tourist, but more for the adventure tourist wanting to experience some trekking, hiking and caving. 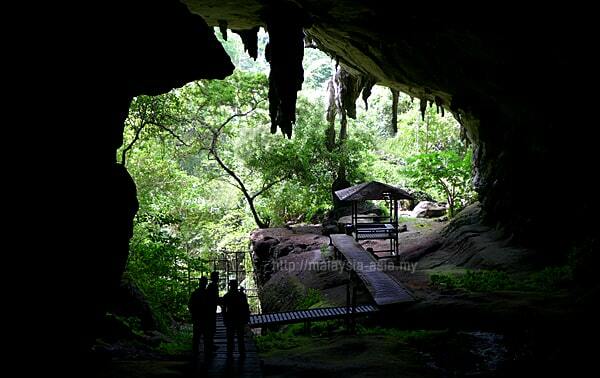 The caves are located in Mount Silabur, about 90 kilometers from Kuching, and can be done in a day trip. Tusan Horse Rock Cliff - Over in the resort city of Miri in north of Sarawak, a beautiful massive cliff by the sea, with the shape of a horse attracts a lot of locals, and photographers. 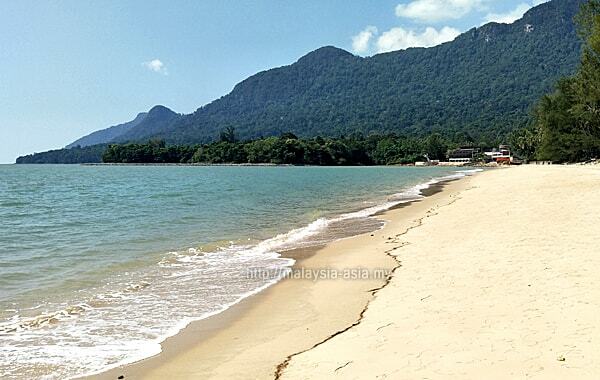 This is also known as the Tusan Beach, about 40 minutes drive from Miri City. Usually, those who love photography will visit this stunning location early in the mornings, before sunrise. As a traveler, travel blogger and writer for tourism, I have personally been to quite a number of places all over Sarawak, and yet there are many more for me to discover. My travels have taken me from the remote islands of Sarawak to the highlands of Sarawak, bordering Kalimantan, and I still cannot get enough of this magical land of the hornbills. If you have been burnt out from the usual tourism destinations around Malaysia or other destinations, take up my challenge and pay a visit to Sarawak. You will see why I keep heading back here, as the pureness and genuinity of the people make me feel comfortable every time I visit this place. If your idea of tourism is visiting a city with skyscrapers, streets lined with modern mega malls, areas converted for nightlife and entertainment, then Sarawak is not for you. And if your idea is to seek a destination that is still true to itself, with little changes and rich with friendliness, hospitality and warmth, then you should consider visiting Sarawak. For more information, visit the official Sarawak Tourism website. I hope that after reading this, you will understand why Sarawak became the most interesting place to visit in Malaysia, and why you should start planning to do so.